There are many basic things people get wrong while exercising. Some of these mistakes are physical, such as performing a wrong range of motion, while some others are psychological. 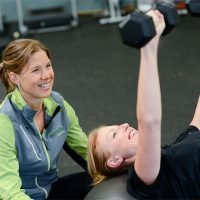 New fitness buffs often imitate other more experienced gym goers, but this doesn’t necessarily mean is the right way to go. For example, beginners to the gym will often copy lifting habits from those who seem bigger as they’re more experienced. Sounds logical, right? In fact, there’s a large amount of buffed weightlifters that still make the most basic exercising mistakes while training. While some of these mistakes will just delay your progress, others can lead to potential injuries. In this article, I’ll list 10 of the most basic mistakes to avoid while exercising. Embracing these habits will improve the effectiveness of the exercise and lead to faster results. Patience is a key virtue in fitness. Expecting results almost overnight is one of the most common mistakes beginners make. The same applies to users who over-train, expecting faster results. Progress won’t show right away, but it’s worth the wait. Results take time – it’s a mistake to expect major results in a short period of time. Keep in mind there is a limit to how fast your body can change – overtraining multiple times a day won’t give you any better results. While exercising, it’s important to know our limits. It’s perfectly fine to have personal challenges and records. In fact, setting challenges is a great way of obtaining motivation and measuring progress. However, too much of anything won’t be good for you. When it’s time to increase the workout intensity, do it consciously. Demanding more from the body is a must in order to progress; do so in a reasonable manner. There’s no standard to how fast should you progress, simply adapt the exercise to what your body can handle. You may be surprised to hear this but the mind does have an impact on your fitness performance. Psychological symptoms such as anxiety and stress do not only affect performance but also endurance and effectiveness. The body physically reflects on what’s going on in the mind – stress can lead to slower muscle gain and accumulation of fats. For this reason, learn how to manage stress and find physical activities which will help you get some stress relief, for example, yoga. Sticking to the same routine is a huge mistake in the long run. Both the body and mind are adapted to the same sequences when performed continuously over a long course of time. Once the body is adapted to the same exercises, less effort is required to perform them but also the effectiveness of the same exercise fades. So switch up routines once in a while to challenge your body AND mind. The most important thing while exercising is truly loving what we do. The lack of interest and motivation can completely demolish all good intentions. There are lots of physical activities you could do so it shouldn’t be hard to find the one you enjoy. If there is no true motivation, there will be no true progress so it’s really important to engage in activities which you enjoy. The range of motion is the distance a joint can move between an extended position and a flexed one. In weightlifting, a proper range of motion consists of fully flexing your muscles, and fully extending them afterwards in a repetitive cycle. Performing wrong or incomplete range of motion will considerably reduce your results, and might even result in an injury. 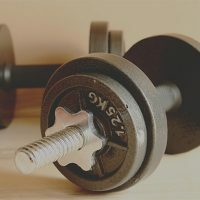 In many cases, gym goers use more weight than they can handle and as a result, they can’t achieve a full range of motion. Certain training techniques apply a partial range of motions to focus hypertrophy on a specific muscle, instead of performing the full motion. Getting enough rest is important in all fitness activities. After reaching hypertrophy, muscular tissue needs enough time to regenerate. Heavy disciplines require more rest – bodybuilders, powerlifters, and other weightlifting variations need to give extra rest to their muscles. Activities such as running, cycling, swimming, and hiking vary in intensity so rest should be proportional. Setting personal challenges is a great way to improve motivation and measuring progress. Increase the weight you lift, extend mileage, run faster, hike further; these kind of challenges are completely healthy. However, be aware of your body’s limit. Overtraining can come from both extensive aerobic exercise and heavy anaerobic exercises. Weightlifters who handle improper weight not only affect their range of motion; they’re also more susceptible to overtraining. The improper form consists of the unnatural performance on an exercise. Factors such as range of motion, intensity, posture, and weight can affect an athlete’s form of training. Each discipline has a correct form. For instance, weightlifters must take certain postures and follow specific motions in order to achieve proper form in many exercises. It’s important to research the proper form of a discipline in order to perform it effectively. Another very common mistake is not keeping a record of what is being done. Having a proper routine is a must in order to have an efficient training plan. This doesn’t mean that it’s necessary to get expensive customized plans. Build a routine based on availability and physical condition. 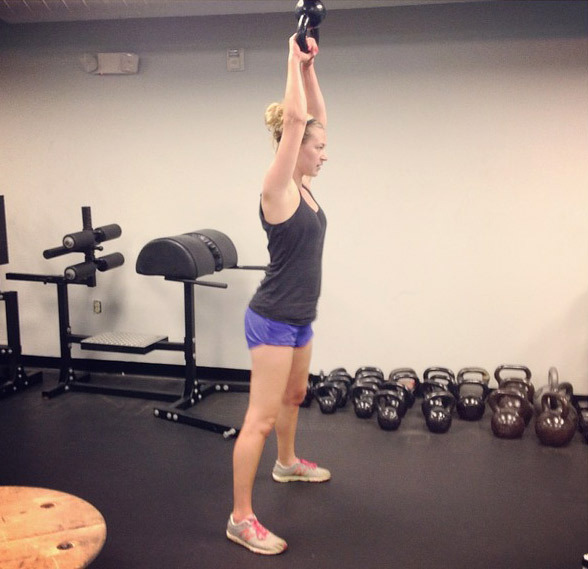 There are multiple websites that offer valuable assistance to form a proper training plan. Make sure to perform effective exercises. A very common mistake is having a routine full of exercises that won’t offer the results you’re looking for. Dan Chabert is an entrepreneur and a husband from Copenhagen, Denmark. He loves to join ultramarathon races and travel to popular running destinations together with his wife. Sometime we don´t realize that we are doing exercise on a wrong way. At the beginning try to workout with an experienced trainer so you can have a route map. Also keep healthy habits and the most important try to life and stress-less life and good sleep. I agree, it’s definitely important in the beginning for somebody experienced to show you how to perform the exercise correctly.